No doubt you're hearing a lot about artificial intelligence, but still haven't found a logical way to implement it into your company. One important thing to know about it is it won't replace human jobs. It's just going to complement many roles, including working alongside other tools you'll need for technology management. In many cases, this is going to mean using AI with tools to manage your mobile technology and in data movement. So what's the immediate future for AI? Take a look at what's projected in the coming year and beyond. According to ZDNet, AI is going to become the most disruptive technology over the next decade. It's already worth $1.2 trillion this year alone, with most value coming from customer experience solutions. By the beginning of the coming decade, you'll see AI shoot to $3.9 trillion in value. Much of this is due to the advancement of deep neural networks that help bring more powerful computational abilities. One thing to look out for in AI's evolution is its availability for more niche solutions. If you need to solve a particular business problem, you'll likely be able to find an AI solution using machine learning and automation processes. Finding one tool to solve a problem well isn't always easy to find. In the areas of mobile management and data movement alone, it used to require having to invest in numerous tools to gain complete control. AI is going to hone in on niches like customer experiences, especially in providing analytics to help create valuable marketing content. Most of all, though, you're going to see AI working on increasing company revenue streams. Analytics play a big part in this as well since it allows you to gain more accurate granular data to help you make smarter business decisions. For reducing costs, AI is going to become invaluable in this business niche. Many AI programs already exist to scope out where your spend should occur in various areas, including marketing. ChatBots are becoming very common now, and they're all powered by AI and machine learning. What's interesting about this is the above ZDNet report says investment in virtual agents will probably drop off slightly in the coming decade. At this point, companies will take advantage of more advanced AI tools. Moving into decision support and augmentation technology will become the biggest spend in AI by then, mostly because deep neural networks will become more sophisticated than ever. 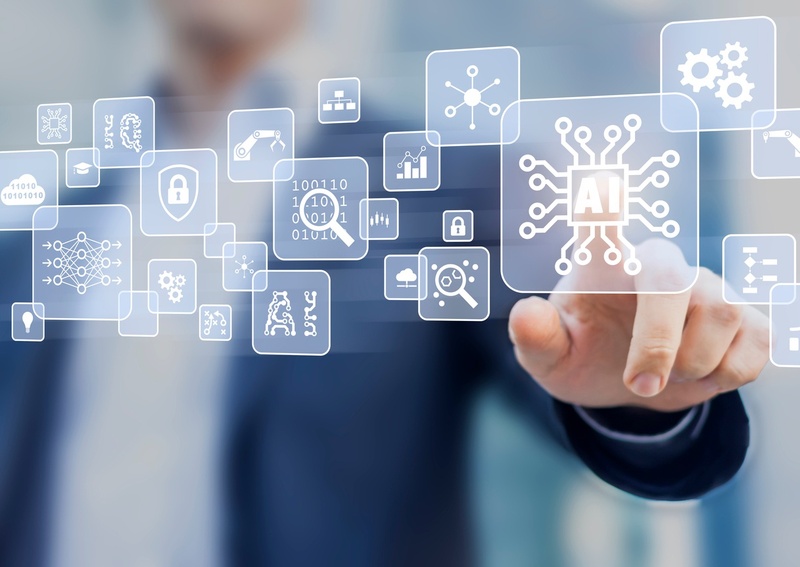 New revenue possibilities will be at the core of these AI trends in the 2020s, all of which again stems from more thorough analytics helping to make more accurate business predictions. AI is going to dramatically impact how your company handles data, particularly in data preparation and in providing higher-value services. It doesn't mean AI can do absolutely everything. Being able to find a tool that can deal with moving data safely from one place to another is going to become essential as data increases. The same goes in mobile management. While AI helps with mobile analytics, you need something to bring complete security to all endpoints so you're not taking risks with your mobile data. Here at RemoteRelief, Inc., we offer some useful platforms to help with both of these functions. Our RemoteLink is a leading software to help with data movement and deliver business-critical information. AirWatch is our mobile management platform to help you better manage increasing BYOD policies. Our software works well with AI and can help shape your company into a better-organized enterprise, including more security awareness. Visit our website to learn more about our platforms and in reading about the latest business technologies.